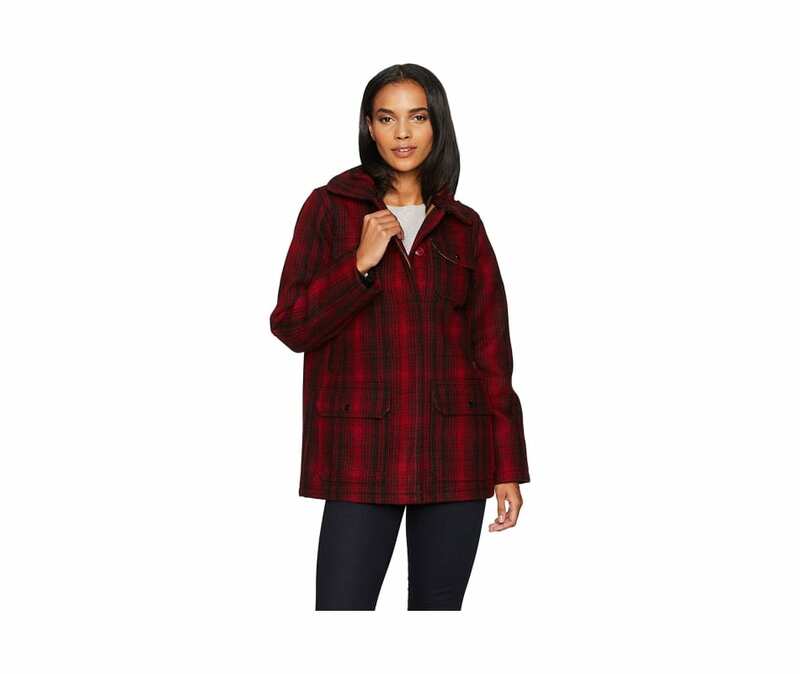 Woolrich's legendary 503 Classic Wool Hunt Coat is now sized and styled for women. It features the same rugged 14.75 oz. wool/nylon blend shell and durable cotton twill lining as the original, with details scaled to more feminine proportions. Vintage six-pocket front design includes snap closure top and bottom patch pockets, with two vertical chest pockets. Button-closure front is covered by a storm flap; protective, oversized collar features a buttoned throat latch tab. Center back waist adjustment tab creates a flattering fit. Inside, an open chest pocket and a zip-closure security pocket with a silicone-trimmed media cord port keep valuables safe. Merino wool blend ribbed knit wind cuffs inside sleeves block cold winds.